the Old Course and the New Course. Each course is both challenging for the seasoned miniature golf enthusiast AND very playable by the youngest family member. 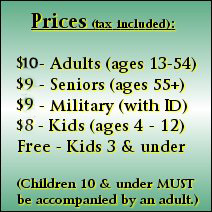 Come enjoy the fun at Cool Crest Miniature Golf!